The fried chicken at Model Milk. Photograph by Jared Sych. FOOD | Comfort food gone upscale. 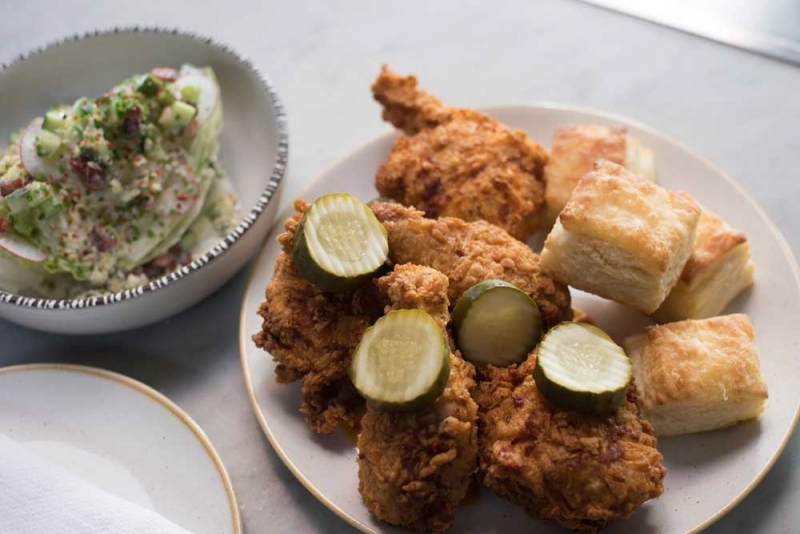 DISH | Fried chicken (any way they’re making it). TIP | Sit at the short row of seats facing into the kitchen for dinner and a show. Once the new kid on the block, Model Milk is now the anchor for a stretch of 17th Avenue S.W. that is home to several bustling restaurants. But by no means is Model Milk any less busy than when it opened to so much fanfare back in 2011, when the former dairy was reborn as a hip spot with high ceilings, music on vinyl and dishes that bring together traditional comfort foods with modern techniques. While Model Milk is stalwart in its ambiance and decor, the menu is an ongoing evolution as executive chef-owner Justin Leboe, with chef de cuisine Blair Clemis, continues to explore local and seasonal ingredients, combining them into dishes both playful and refined with just the right touch of familiarity. About the only consistency on the menu is the burger, with its earthy morel ragu and rich cheese curds, and the Southern fried chicken, which has gone through numerous iterations, from a take on Nashville-style hot chicken to a version that replaced the side of waffles with savoury donuts. 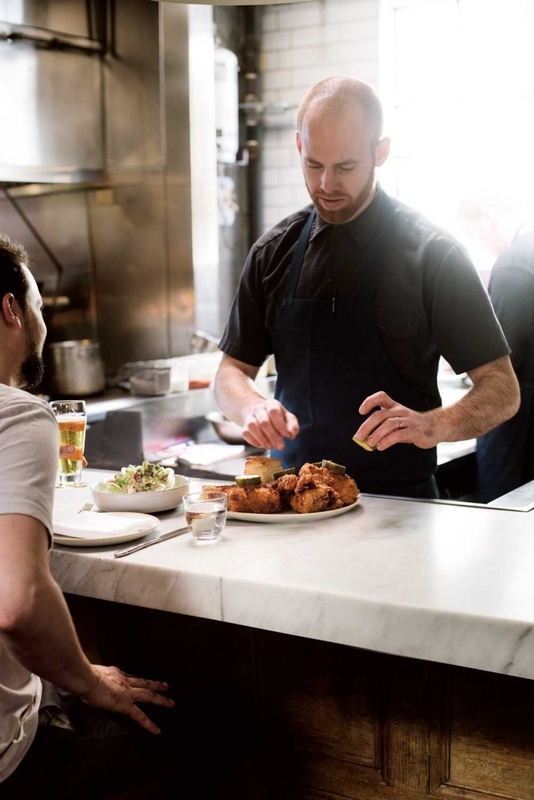 Both echo Model Milk’s refined-diner approach to cooking, which is balanced by dishes with a more fine-dining bent, like foie gras parfait or sustainably sourced fish with seaweed butter. Model Milk chef de cuisine Blair Clemis preparing fried chicken. Photograph by Jared Sych.